Boyle Energy offers 2 types of delivery methods. We offer automatic and will-call deliveries. Automatic deliveries are almost self-explanatory. We estimate when your tank will be in need of a refill based on it’s max volume and your usage, and will come to refill the tank accordingly. Will-call deliveries are also very self-explanatory. 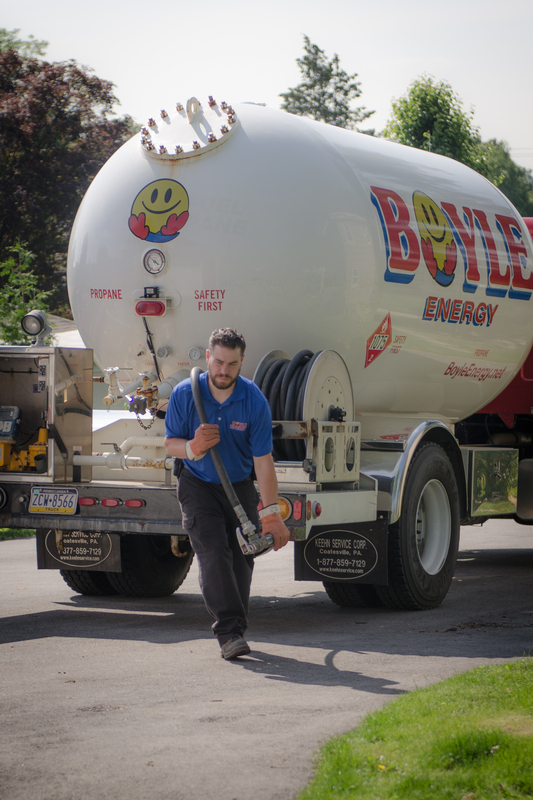 At any time when you think you will need a refill, you will call Boyle Energy to set up a time for our technicians to come fill your tank. Boyle Energy recommends the automatic option, as it gives you the peace of mind that you will not run the risk of having too little propane or oil and also provides the extra convenience of not having to worry about whether or not you need a refill. Have a question? Give us a call. Boyle Energy doesn’t just deliver fuel oil. Boyle Energy proudly serves our customers who have propane systems.